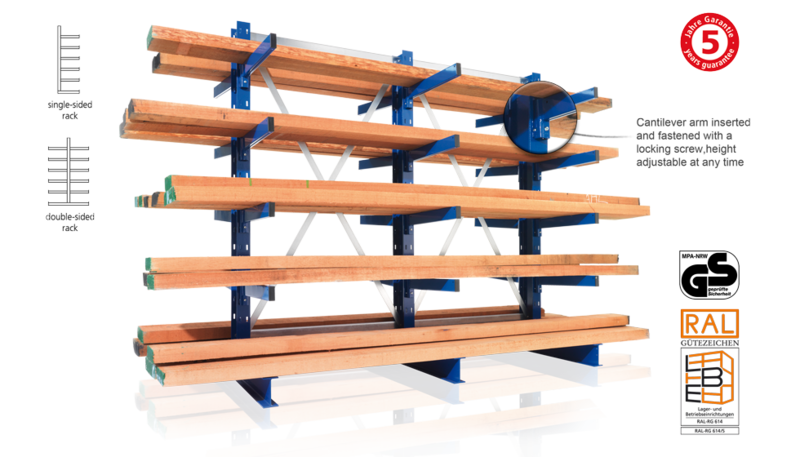 META cantilever racks are the benchmark for the storage of light-weight long goods. They can be extended systematically for the widest variety of requirements and they provide the utmost operating safety. The cantilever arms are secured to prevent unintentional lifting of the arms when goods are being deposited or removed. The adjusting screw is tightened to produce an even tilt. It also produces a firm connection between the cantilever arm and the upright. Safety: If height/depth ratio is ≥ 5: 1, or the operating conditions so require, then floor anchoring is required.